I like the idea of reduce/reuse/recycle. So when we get a chance to use any of those principals, it is a delight. 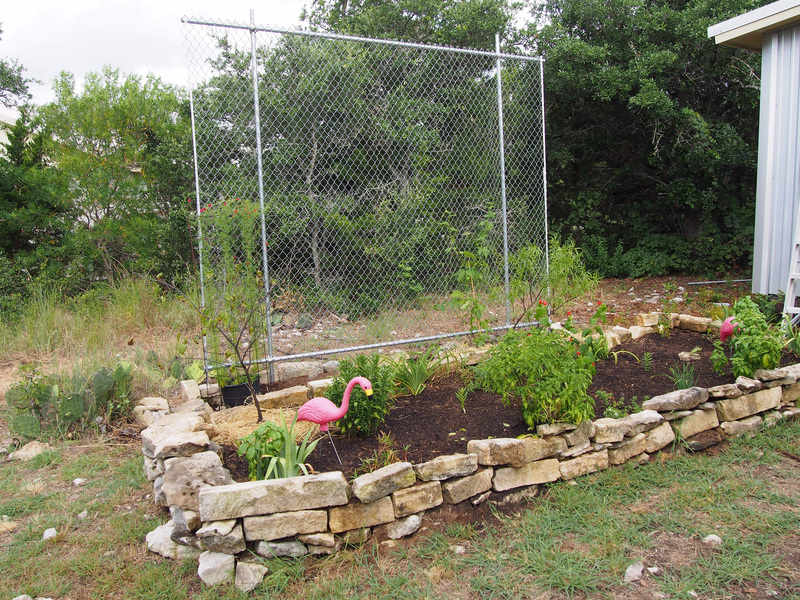 I built a garden area in the spring using cut limestone we had brought from our house in town when we moved, as well as rock from here on our land. I finally got around to filling it with soil in early July. 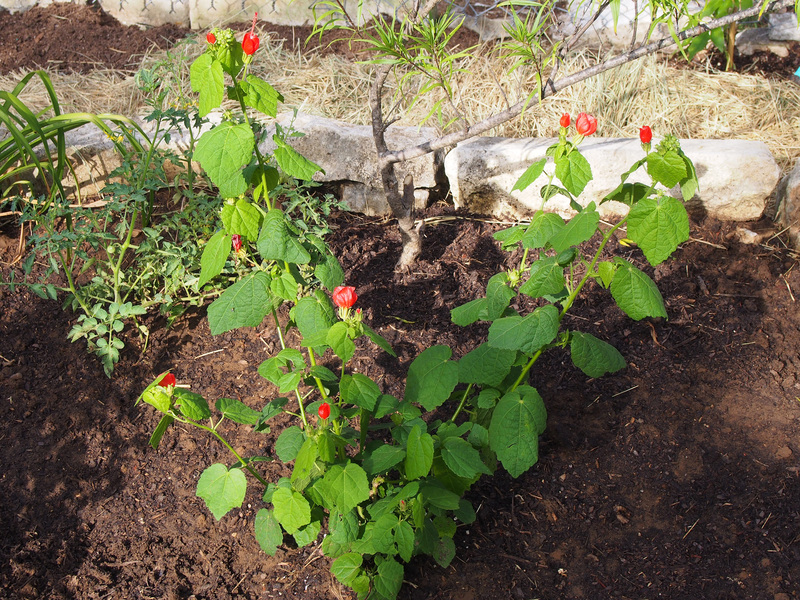 I moved most of the herbs that I had in pots – basil, oregano, chives, garlic chives,Mexican marigold mint, some irises, day lilies and a few small trees into the bed. 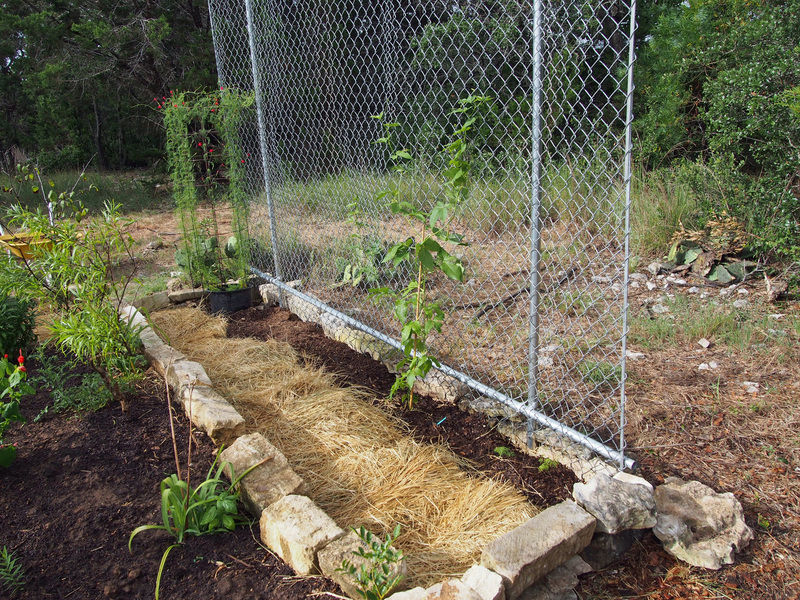 Then we built a trellis behind it using some eight foot tall chain link fencing that we had obtained over the years. 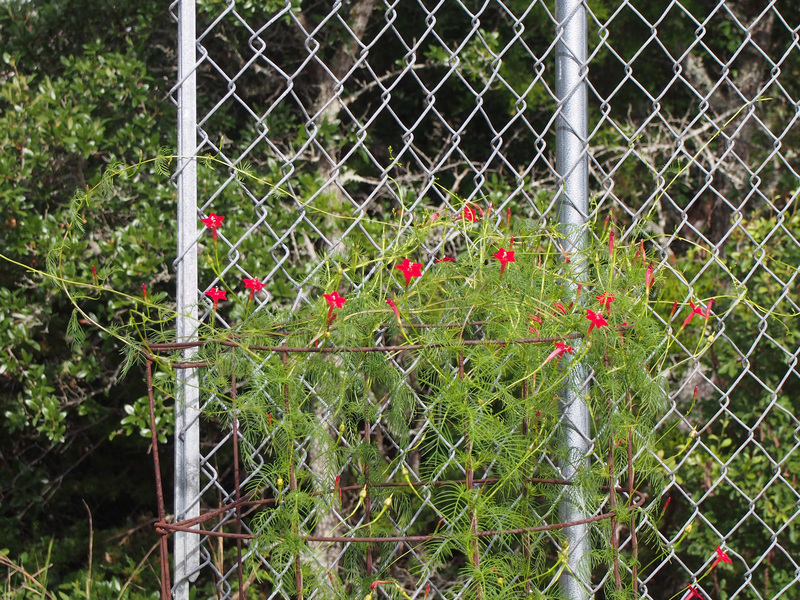 I planted passion vines and moved the cypress vines over to the trellis hoping that once established, they would provide some shade from the west sun in the afternoon. 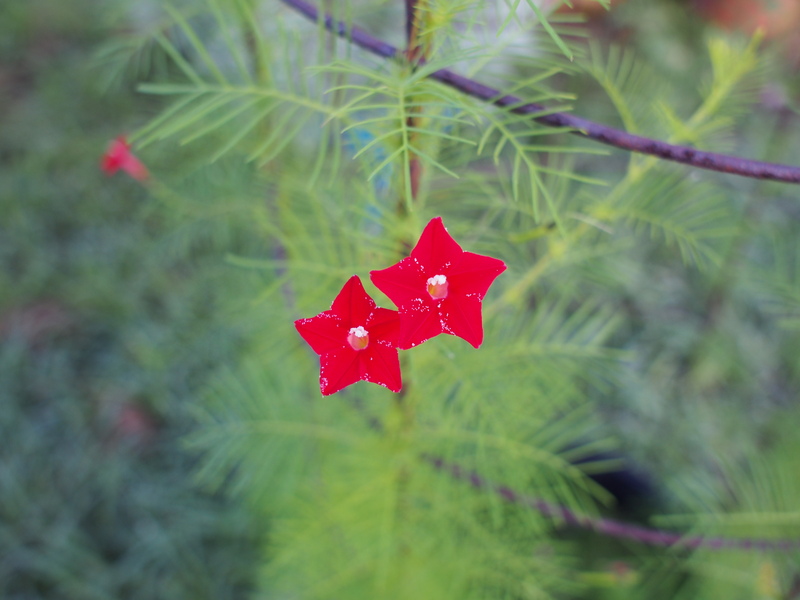 One of the nice things about the cypress vine is that it re-seeds easily. 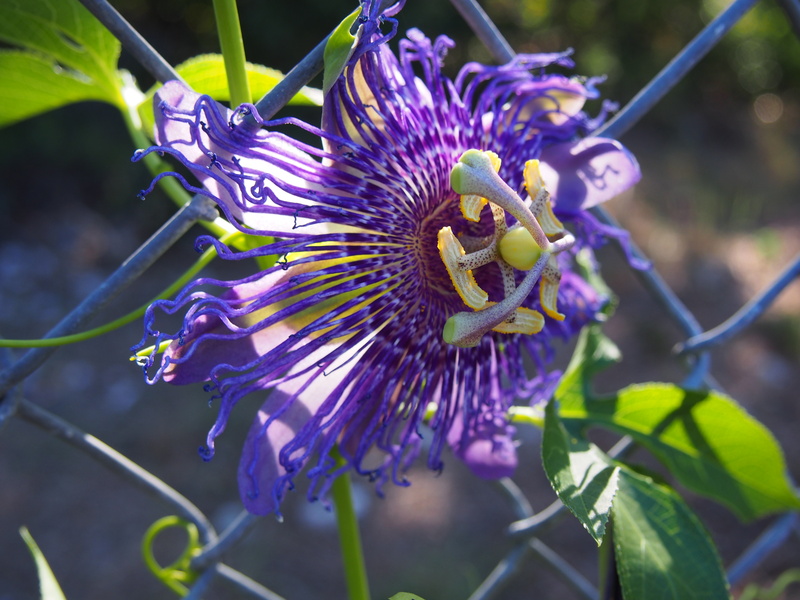 This will make for a lovely mix on the trellis next year with the large purple passion flowers and small dots of red from the cypress vine. 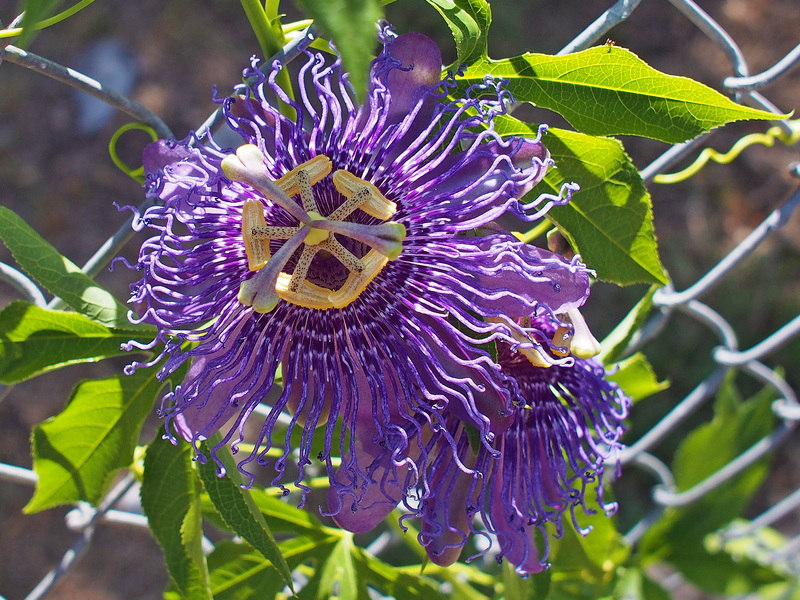 I planted a second passion vine that a friend shared from her garden about a week and a half ago. 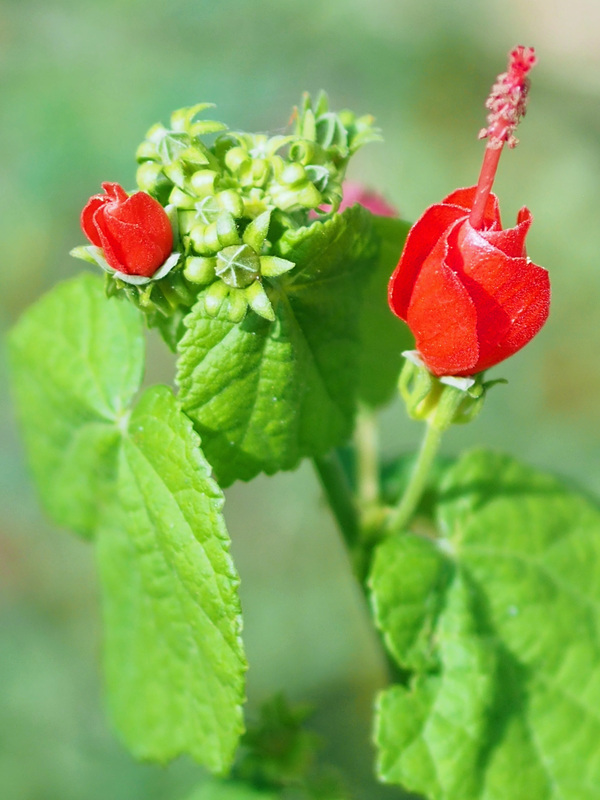 It is finally taking off and I can’t wait to see what the blooms look like. 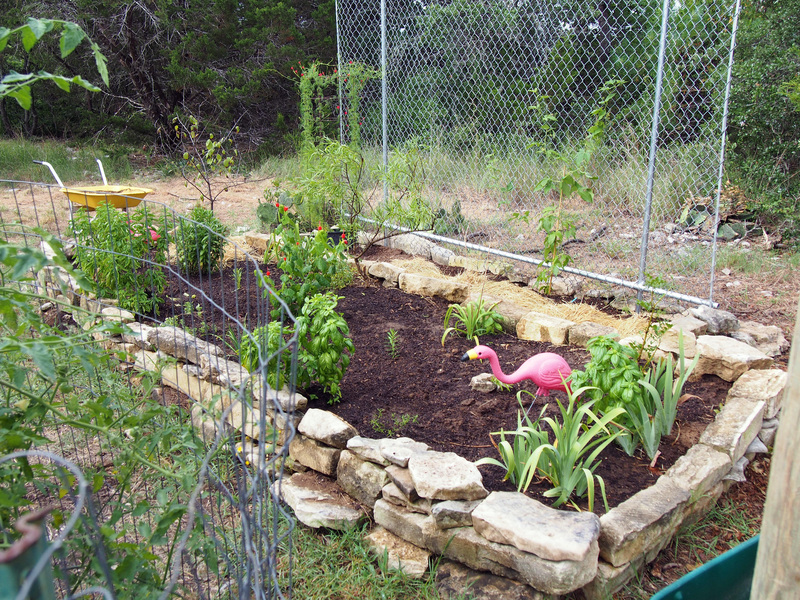 The main complaint that I have with the new garden bed it that the chickens like to take their dust bath in the dirt. It looks like I will be adding more fencing to the area. ← Four little birds and a very busy mom.